GC: Your book charts the development of Chinese archery. Today, archery stands slightly outside modern martial arts circles. Why do you think that is? PL: It’s interesting because there’s the comparison between that and in Japan where archery is still practiced. Archery – you need the whole space and equipment, but it still shouldn’t be that prohibitive. The Japanese really began to fetishize their archery right after the Tokugawa closed everything up. The wars stopped. The guns have already taken over at that point. Once you’ve got guns, then start getting really keen on archery. I actually don’t know. My guess, and this is just a guess, that one of the reasons why the Chinese downplayed archery in the martial arts was because it was so closely identified with the Manchus in the last dynasty. PL: Of course, guns are really the main battlefield weapons by the Qing Dynasty. So the people who were really keen on preserving archery were the Manchus because, them, it was really part of their heritage. I just guess that you had the last 200-300 years of people looking and saying, “Well, we don’t really want to be associated.” As a Chinese person, you’re not going to say, “Oh, I really like the Manchus.” No one would say that. That’s just my guess. It’s a little bit like the question earlier about, “Why didn’t we study Chinese martial arts in Chinese studies?” Sometimes these practices just get dropped and then how many people, by the late 19th century, really knew how to shoot a bow anymore? They had all these wars in China. And in China you had the whole issue of the Cultural Revolution which destroyed everything on top of that. I understand there’s some family of bow makers who just recently started making bows again. GC: Yes, there’s been a trend towards archery revitalization recently. PL: Yes. So they might get back to some of that stuff. I would hope so. But after all, it’s an antiquated art. And where I could get a staff or a sword and go in my backyard and practice a form, I think my neighbors would be a little concerned if I started firing arrows at a target. And of course, it’s Tennessee. You can go out and shoot whatever you want, but not in my neighborhood. 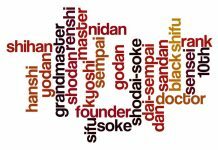 GC: Kyudo is still fairly popular. PL: But how many people really? A hundred schools around the world? The thing about martial arts is that we forget as martial artists that we are not that popular. GC: Sure. I run a newsstand magazine. I’m painfully aware of that. PL: To my mind, I can’t imagine why everyone isn’t doing it, because I love this stuff. I’ve always loved this. Sure, I play tennis and racquetball, but to me, well, I was a camp counselor at one point, teaching taekwondo and martial arts, and from my perspective, when I was a kid, that’s all I would have taken. If you offered me martial arts, that’s what I would have done. I didn’t want to play these other games. And that’s not true for most kids. Most people don’t want to do that stuff. I suppose those people aren’t even in very good shape anyway. It would be interesting to do Chinese archery at this point. I’m just not sure how many people there are left who do it. GC: There’s some interest in Asia recently. I’ve seen some demonstrations where instead of using bow and arrow, they’re doing bow and ball. PL: Oh yeah, yeah, the pellets. GC: The pellets, right. And they do it in very ritualized forms, much like the taolu in modern wushu – in synchronized groups. I’m not quite too sure where it’s going at this point. PL: There’s the question. What are they trying to get at? It gets back to this authenticity question. These are not practical skills. GC: There’s something to be said for preservation of tradition. PL: Tradition. Yeah. But it takes a lot of time and practice, and since we probably have a break in the transmission of the techniques, then we’re inventing a tradition as best we can. I appreciate the effort, but can you really say that this is preserving it? No one wants to just declare it dead. I guess Stephen Selby has done a lot of stuff on Chinese archery and there’s Peter Dekker in the Netherlands who has done some stuff on that. I think he’s translated some texts. So the people I would be expecting to really revive this would be the Confucians – the new Confucians – because archery competitions are really important in the original Confucian conception of things. But even by the Song Dynasty, the Confucians weren’t practicing archery. There’s one story about someone who got beaten by his mother for practicing archery – “Here you are a scholar. What are you doing?” Like all of these skills – why do I want to swing a sword around? GC: I’ve been asking myself that same question for years. So you cite some very early examples of martial dances. Nowadays, many practitioners are critical of martial arts that are just “performance only.” It’s degrading if you say, “That’s just dance.” So what’s your take on modern martial arts performances? PL: That was the biggest surprise for me when I did the book because – and I don’t know whether this is just particular to Americans, but I always had this sharp break in my mind between practical martial arts and performance. I started out in this practical street fighting art and I got a little bit- I don’t want to say “bored with it,” but I was a little dissatisfied because I wanted there to be some nice forms. I always feel a little badly when I do forms. If I take my sword out or I take my staff out in the backyard, what am I doing here? Is it just some performance thing? Not practical. What was really surprising to me when I was doing the research was that performance has been fundamental to practice from as early as we get records. So performance, if you want to use that word, is just as authentic as anything else in the martial arts. At least in China, it has always been used in some way. There have always been martial arts demonstrations. There have always been martial dances – this whole notion of the re-creation of the important battle. And this was from as early as we have records of people doing things. The other thing to think about is how do you train a large group of people in martial arts skills simultaneously? You say, “Okay, stand here, do this.” And it simply becomes a way of evaluating the level of someone’s skill if you say, “Give me a punch. Okay, I can see that your teacher made sure that your stance is strong,” as a substitute for “Let’s fight!” I was very surprised to see how fundamental performance is to the martial arts. It’s always there. The larger issue for the reader – at least the way people think about it now, and that may change when more scholarship is done – it seems like it is in the tenth and eleventh century when they begin to make the performance martial arts more flowery. And that’s because they begin to give regular martial arts performances in theaters. So they have to make the fighting look more exciting and interesting. There’s later criticism by people like Qi Jiguang in the sixteenth century that the martial arts has gotten too flowery and we need to get down to the regular skills. I had one teacher who told me, “You only add. You never subtract,” because we don’t know why something was done a certain way in a form. Maybe there is some use for that. My example for that is doing a middle inside-to-outside block. I don’t know how many times we’ve all done that in one style or another. And I thought, “This is not a block you would ever use outside of a form.” And I once was sparring in taekwondo and someone threw a skipping side kick and I found myself in a back stance, with the inside-to-outside block having correctly blocked this side kick coming at my middle, in exactly the way it should theoretically happen. I remember looking at myself in that stance with that block in shock. PL: It worked! What on earth? What kind of a block? And so I look at that and I think, why are these things practiced? What is the reason for them? And I don’t have the ego to dismiss these things out of hand as impractical because, frankly, I just don’t know. I go into jiu jitsu and I’d say that there’s always a good bit of the teacher saying, “Okay, so when you’re in this position, your hands go here and here.” And if you ask him, he’ll say, “Well, you don’t want this to happen.” But sometimes you don’t have the time or it doesn’t come up. The point is, there actually is a reason. When you’re starting out, you learn a lot of things by rote and you do as you are told because presumably wiser people who have done this have found out there’s a reason you don’t put your hand there. Maybe I haven’t cultivated my ego enough to be dismissive, but I will tell you from a historical point of view, performance is as authentic and longstanding as any other aspect of martial arts. It has always been there. GC: That being said, what do you think of modern wushu? PL: It’s very fun to watch. It’s very pretty. It doesn’t inspire me because I am not going to do a double back flip. I don’t want to criticize the people who are doing it. I certainly think it has as much a place in the Olympics as gymnastics. But it is a strange art. I expect that if you took one of those guys who can do a double back flip, you could probably teach them how to be an effective fighter because they’ve got speed and power and all that stuff. I find that as entertaining and pretty as it is to watch that I get bored with it pretty fast because it is just a circus acrobat. It is hard to wonder at that point, when people are using these very lightweight swords and lightweight spears and doing stuff – I guess nowadays it wouldn’t even be a good movie. 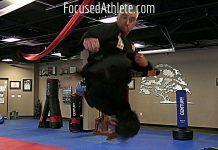 You know, I was raised not to criticize other martial artists, so to the extent that it is martial arts I’m not going to dispute them on that. It is an abstraction of what has been done before, but it is consistent with the fact that there has always been martial performance. 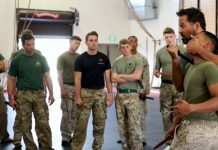 It is probably much different than any other martial performance that there has been in the past, but that doesn’t mean it’s invalid. Am I being too weaselly? GC: (laughs) I’ll let you off on that one. So let’s move to the spiritual. 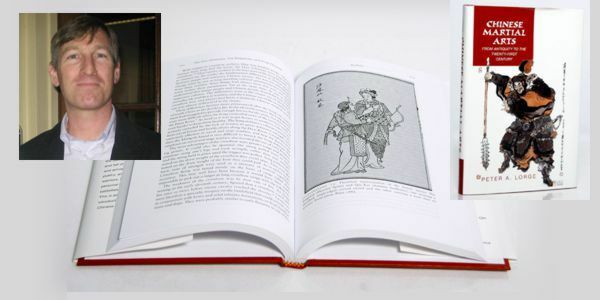 You discuss qigong in your book, but for the benefit of those who have yet to read it, when do you think qigong becomes an element of Chinese martial arts? PL: Well, so then we get into some really interesting questions. So now we’re trying to track the notion of qi. My colleague here, Ruth Rogaski, is doing a book on qi which is actually about how it’s perceived in America. I don’t know when she’s going to be done with that. She is a Chinese historian, but she’s a medical historian. So we run into this problem. If you read the Chinese scholarship on qigong and if you look at these histories of Chinese martial arts, they say, “This is what’s happening in the martial arts,” and they’ll have a section in the end that says, “And this is what’s going on in the qigong.” What’s interesting is when I was looking at this, I was realizing that until you get to the 20th century, the people who are mentioned in the qigong section have no relation to the people in the other section of the book. So the Chinese argument that some have made is that all of the different traditions – and here they are saying Confucianism, Daoism, even Buddhism – have a tradition of moving meditation, which even when it’s not called qigong (nothing is really called qigong until the 20th century) is qigong, and they all have these different things. The problem is then, when does it become connected to martial arts? And I’m not actually sure (I haven’t seen anyone track it down) that it ever does before the 20th century. On the other hand, and I have to go back and look at the fiction, there are these stories about people doing all sorts of amazing things. Now whether that’s related to qi is open to question. And then we see everything through the lens of Jin Yong novels, which really did all kinds of interesting things to our understanding of the past. I don’t blame him for all of the people who start taking fiction for history. I know about these traditions of Confucian quiet sitting. 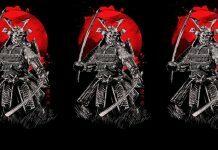 The question you have to ask yourself is, “If somebody is practicing quiet sitting, and then goes out and takes up a sword and learns how to do that, is that qi practice going with the swordsmanship? Are they completely separate? How are they connected? I think a much more sophisticated study than anything I’ve run into in literature would be needed to really answer that. Mencius has this comment about cultivating his flood-like qi and it’s just a baffling line. You kind of look at it and say, “What is that related to?” There’s no martial connection. So what you get in a lot of the earlier novels – sixteenth century things – is these guys talking about being really really strong. And you get guys like Wu Song saying, “Well, if you really want me to be strong, I need to get drunk.” This is obviously not a guy who is sitting there meditating and focusing his qi. This is a guy who says, “Okay, now I’m really drunk. Now I can pick up really heavy things and beat up people and tigers and all sorts of stuff like that.” Qi and qigong did not in any way impinge on the material I was looking at. And so I wasn’t going to force it in because I couldn’t find it connected in any of the materials I was dealing with. So that’s the clearest statement I can make from a methodological perspective. I would have had to have forced the scholarship, at least with what I ran across, to put qigong or daoyin or any of these terms. I would have had to force the material to have included it and I wasn’t going to do that. Perhaps if I were more involved in qigong stuff I would have been more interested in finding it, but since I’m not and it didn’t naturally show up, I was willing to leave it to the side. It only took me ten years to research the book. At some point, I had to draw some lines. GC: Now with the rise of MMA, many critics say “kung fu is dead.” What is your reaction to this? PL: Interesting question. What’s going to be really interesting is, I know the UFC guys are trying to expand into China because it’s just a good market. I think what is going to initially happen if they get in there is that the first Chinese guys are going to do the same MMA corpus that there is now. And hopefully, over time, some guys will say, “There’s a guy over there that’s practicing and he’s got some really good moves.” There’s a lot of martial arts in China that we haven’t discovered yet. There’s this whole government notion of what the Chinese martial arts are and then there’s the people doing the village level and the town level. And if you look at the work of Ralph Thaxton, who works on modern China, he’s done a couple of books. I hope his other book has come out by now. He did a study on this one town in China where these guys went out and learned martial arts so they could resist the government. And it worked. 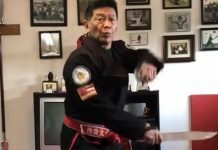 So when you start seeing the martial arts reviving in China – I guess the thing is that there’s so much going on in China that we’re not actually aware of because it’s really hard to get at. What about these guys in the towns and villages practicing. I presume you’ve read Matt Polly’s American Shaolin? GC: Yeah, Matt is a close personal friend. We spent time at Shaolin together. PL: Yeah, he talks about these guys up in the hills and these guys do some peculiar martial arts. I think those guys are all over the place. Some of them are very good. Some are not. MMA is the martial art of the moment. Robert Downey is doing wing chun for the Sherlock Holmes movies. He practices apparently. I guess he did on Oprah. GC: Yeah, Downey’s been featured in MEN’S JOURNAL. He’s been quite the advocate. It’s played a major part in his addiction recovery. PL: Yeah, so I think the thing is, you have to have the teacher and you have to have the school, and people practicing. We just haven’t had that influx of Chinese martial arts teachers the way we had a big influx of Korean stuff. Taekwondo was very big. It’s still very big because they came in and continued to generate people. And Brazilian Jiu Jitsu, ten years ago, maybe fifteen, there was none of it. Now it’s everywhere, even in schools which don’t really do it. They’ll say, “Oh yeah, we do some mixed martial arts.” It’s marketing. Is it dead? Was it ever alive? It’s in the movies as an abstracted vision now. I would love to be able to collect real data on how many people are practicing which martial arts in the United States and where. That would be fascinating to find out. GC: My mom does it because it improves her golf swing. PL: Yeah, so taiji is everywhere. It’ll be interesting to see if we get more xingyi stuff, arts that people have never heard of around here. Kung fu is such a problematic issue. I guess I’ve worked in areas that are always on the verge of going extinct. I do tenth and eleventh century Chinese history. How many people really do that? How many people really care? If me and a couple dozen people I know all disappear tomorrow, would it cease to be even a presence in the United States? You tell me. You’ve got the circulation figures. GC: Actually, we’re doing okay. PL: So there it is. It’s doing fine. I guess the question is how would you transmit it to more people? How do you make it something vital and interesting? On some level, it has to still have a little bit of its history. On another level, it has to fill a pragmatic need for people. It has to be convenient to their modern lives. They don’t want to get beaten up every time they go, but they also want to learn something. It can’t be too expensive and can my kids do it? Is it available? My jiu jitsu teacher started a six-thirty a.m. class, Monday, Wednesday, Friday, and I said, “God, I would love to go to that,” but I have to get up in the morning and get breakfast made and get the kid’s lunches packed. I can’t go to that class. But wouldn’t it be great? Give me a Chinese martial arts class at a convenient time that’s not too expensive in a convenient place and I’ll practice it. Otherwise, it’s very hard. It’s not going away. I hope by writing the book people will become more aware of it, certainly in the academic community. We’ll see how many people outside the academic community read the book. GC: Well, that gets to my last question. China has always prided herself on her martial arts. With China’s rise as a world power, how important to you feel the Chinese martial arts are to understanding the Chinese psyche? GC: Well, Miyamoto Musashi’s BOOK OF FIVE RINGS provided a lens for Japan when it rose in economic stature. PL: And we all thought that this was certainly the case, but then we ran into this problem of, let’s say it is the case – what does that mean? There were various movies where everyone was quoting these guys. Oh great, they’re quoting them, so therefore it must be the case. Arthur Waldron did a wonderful work, talking about Sunzi. Arthur Waldron said that he found out that the only time that the generals in 20th century China would mention Sunzi was after they had lost. They were trying to justify what happened. They would say, “Well, you know, I did this. He did that. And thus this came about.” I’ve got a book, hopefully coming out this year, called DEBATING WAR IN CHINESE HISTORY, that I’m editing with a bunch of other people. One of the things we were trying to get at was, what were the actual debates about war? What did people actually say in Chinese history at imperial court when they were going to go to war? How did they discuss it? You don’t find them talking about military texts very often. It’s really annoying. Often the only person who is going to mention a military text is a civil official, because he doesn’t have military experience to bolster his credibility. So he has to use these texts. Whereas the general says, “We’ll take a bunch of guys. We’ll go over there. We’ll beat them up.” And they say, “Well, will it work?” And they say, “If I have more guys then the other guy, yeah.” Then you go to the civil official and he starts quoting Sunzi. So I guess the question is with martial arts, if you ask these guys to justify their actions, they might bring up something like, “In Chinese martial arts, we try to be soft. We absorb and then we attack.” And that’s great. But I seriously doubt that on any consistent, systematic level that you’re going to be able to connect a Chinese understanding of martial arts to a Chinese approach to the rest of the world, because most Chinese people don’t study Chinese martial arts. They know as much about it as we do. In the future, as China becomes more powerful, what I’m going to be looking for is to see how their discourse about Chinese martial arts changes because essentially this notion that the Chinese are non-violent and all of this nonsense is just historically garbage. They say, “Oh, in our martial art we’re always peaceful. It’s all about self-defense.” What on earth are you talking about? It’s not about self-defense. It’s about fighting. But that is a discourse that the Chinese has developed with respect to the West. And it goes both ways. It circulates through both sides. That’s because they felt that they were weak. And so when you’re weak, you can say, “Well, actually, we only appear to be weak. Really we’re strong underneath it all. We’re just not violent like you. We’re not going to start a fight.” Now what happens when they start becoming more assertive and maybe win some fights? How does their discourse change at that point? Do they stop trying to characterize themselves as always peaceful? Does the way they talk about things change? That’s where I think you’ll be able to look and see a psychological shift, if one occurs. I would expect there would be one. GC: That’s an intriguing notion. It’s already occurring on some level in cinema now. 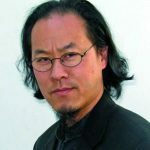 PL: I started doing this article called, “Martial Bodies, National Bodies,” and it’s all about how the characterization, as you point out, suddenly martial artists become the standard bearers for Chinese honor. So you start seeing this construction like FEARLESS, which was a movie that had so little to do with Huo Yunjia’s actual life. GC: It had this patriotic agenda. PL: Right. So you end up with this patriotic agenda which is always very anti-Japanese, very anti-Western. And this has become increasing, like in the IP MAN, Ip movies. So now we have, “Our martial artists will beat your martial artists to show that we have value and honor and things, even though our country loses to your country. But our guy can beat your guy.” What exactly is going on here? It’s nationalism. And so, “Our martial art is better than your martial art.” What I’d really love to see if they actually got some really good Chinese martial artists who say, “We’re going to come out of completely Chinese tradition and we’re going to go compete in MMA,” and see what happens – who wins and who loses and what the reaction is after that. If you go in and your martial art isn’t as good as the other guy’s martial art, do you decide, “Well, it was just our guy wasn’t good. The art is better” or “We won and that proves that we know more than you do and we’re better than you are.” So the nationalism of martial arts is a really interesting issue. The movie stuff is great because it really has changed in the last few years. It’s an interesting phenomenon. I just have to pull myself away from what I’m doing to do film stuff. There’s so much to do with martial arts. It’s a fantastic field – from a scholar’s point of view, just a real field of research. The biggest problem is actually having enough time to pursue any of these possibilities. © COPYRIGHT KUNGFUMAGAZINE.COM, ALL RIGHTS RESERVED. 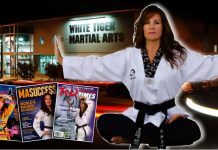 Previous articleWhat Is a True Kenpo Instructor?